Mailbox Monday was originally hosted by Marcia at The Printed Page, but is now a traveling meme and for the month of April Mailbox Monday will be hosted by yours truly!!! I cannot tell you how geeked out I am to be hosting my favorite meme and am really looking forward to meeting all of you who are new to Passages to the Past! To add your MM link please use Mister Linky at the end of this post. Love is timeless. So too is heartbreak. Whenever a bird flies into a window in Spring Green, Wisconsin, sisters Milly and Twiss get a visit. Twiss listens to the birds' heartbeats, assessing what she can fix and what she can't, while Milly listens to the heartaches of the people who've brought them. The two sisters have spent their lives nursing people and birds back to health. But back in the summer of 1947, Milly was known as a great beauty with emerald eyes and Twiss was a brazen wild child who never wore a dress or did what she was told. That was the summer their golf pro father got into an accident that cost him both his swing and his charm, and their mother, the daughter of a wealthy jeweler, finally admitted their hardscrabble lives wouldn't change. It was the summer their priest, Father Rice, announced that God didn't exist and ran off to Mexico, and a boy named Asa finally caught Milly's eye. And most unforgettably, it was the summer their cousin Bett came down from a town called Deadwater and changed the course of their lives forever. The moving, tragic story of Charles I, the last absolute monarch of England, during his imprisonment in Carisbrooke Castle on the Isle of Wight. Richly drawn and inspired by the New York Times bestselling author's own experience living on the Isle of Wight, this dramatic retelling brings to life the cavalier king whom Cromwell deposed. But even more fascinating than the account of royal hopes and misfortunes is the tale of a charming servant girl who is as romantic and tender in love as she is bold and resourceful in plotting the king's escape. So, that's my mailbox...now tell us about the goodies that came in yours! Click on Mister Linky to leave your link and check out what others received! Great mailbox! The Bird Sisters arrived in mine too :) Thanks for hosting MM this month! All of these are new to me, but they sound wonderful. Mary of Carisbrooke looks really interesting! Enjoy. Thanks for hosting this month. The Daughter of Siena is on my wish list. Thank you for hosting MM this month. have a blast with April 2011! I've been looking forward to The Daughter of Siena and Mary of Carisbrooke. Can't wait to hear what you think of those! You have a wonderful mailbox! Happy reading! 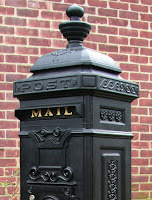 Fabulous Mailbox, as always! I've got The Daughter of Siena, but I wish I had all of them! Enjoy your books and your hosting duties! Looks like a lot of great books! I'm in cover love here! :) I also have Finding Emilie for review; gosh! I wish I could read faster and still be able to savor books! :) Enjoy all of the wonderful reads! I liked your post! I linked mine up! You've got fantastic books in your mailbox! Gorgeous covers, too. The Daughter of Sienna has caught my eye. And you've got a great blog. I am your newest follower. Beautiful covers and I so want to read The Bird Sisters. Have a great week and happy reading! I want every single book in your mailbox!! I love the covers and I'm positive that I'm going to love visiting your blog!! I want your mailbox. What wonderful books. All about women with their own very different strengths and weaknesses. 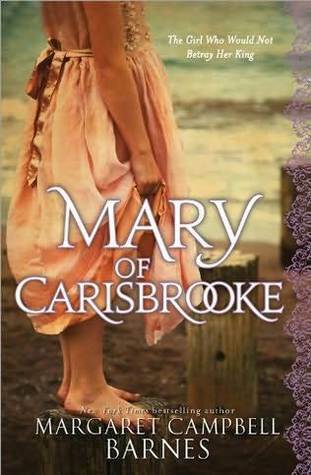 I think I would start with MARY OF CARISBROOKE: THE GIRL WHO WOULD NOT BETRAY HER KING. The Daughter of Siena is coming to me soon as well, I hope it arrives soon! have seen and read about the bird sisters everywhere! the author seems like such a sweet person--i follow her on twitter. enjoy your reads! Bird Sisters looks good as does Mary of Carisbrooke. Thanks for hosting! Thanks for hosting this month, Amy :) The Bird Sisters looks REALLY good! Nice selection this week. I have The Bird Sisters too! 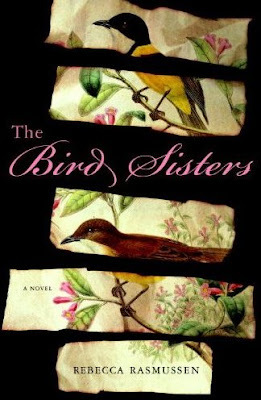 Looking forward to reading THE BIRD SISTERs. All these books sound amazing but I am most curious about Finding Emilie. My computer is down and I am sneakily doing a few comments here and there! if it gets done by this evening I will come over and link. Your mailbox is as usual gorgeous. Great books and a fabulous blog. The Bird Sisters sounds like a book that I would enjoy. Happy reading. I'm so jealous that you got The Bird Sisters! I hope you love all of your new books. 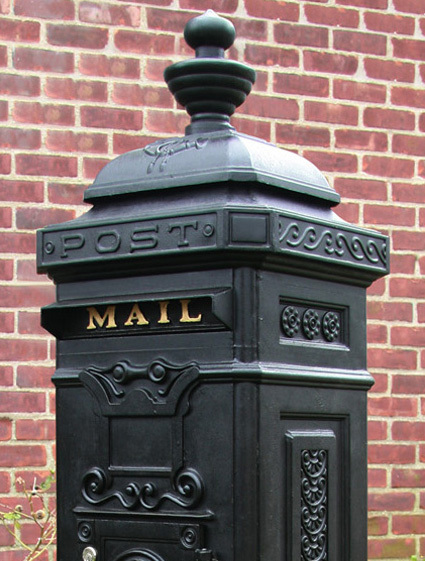 As a historical fiction junkie, I absolutely love your mailbox! I love the cover for Finding Emile -- gorgeous! Amy: This is the first time visiting your blog and am now a follower. I want to thank you for hosting one of my favorite memes. You have some interesting books in your mailbox. Enjoy!! I don't usually read period fiction, but Finding Emilie sounds interesting. Great Mailbox! There are definitely some there that I will be adding to my wish list! Awesome books -- I just got Finding Emilie and have Daughter of Siena on it's way! Wow! Looks like a great bunch of books! I'll be anxious to see how you like them. Thanks for hosting. Your blog is beautiful. Looks like you got some good ones. Enjoy! Great bunch of books! I read the first Fiorato book and really had a lot of fun. Hope to read this one sometime. I added a link to my list of books (vlog format). There are two links. The second one is the correct one that goes directly to the post. Sorry about that. Didn't see a way to delete the first one myself. I'm hoping to find Finding Emilie in mine too! Great mailbox ,enjoy them all. The Bird Sisters sounds very good and it takes place not too terribly far from my area in Wisconsin. I've been to Spring Green many times. I love the cover. I will put it on my wish list. Great mailbox! Thank you so much for hosting MM. I was so excited to get The Bird Sisters this week! 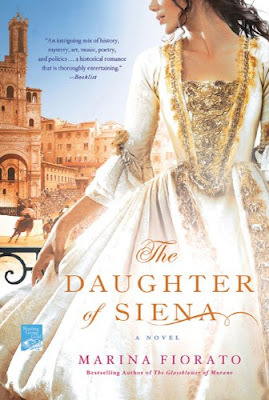 The mathematician in Finding Emilie and the pretty dress on the cover of The Daughter of Siena also caught my eye. Enjoy your reading, and have fun hosting Mailbox Monday! Great mailbox, I'm very jealous. So many good books.Happy Reading. I wish I was lucky enough to get goodies in my mailbox like you do. You have a great life! I love the cover of The Bird Sisters - it's quite 'different'! Enjoy your books!